What’s A Domain Name and Web Hosting ? However, just because you have a domain does not mean that you are ready to serve your website to the world. 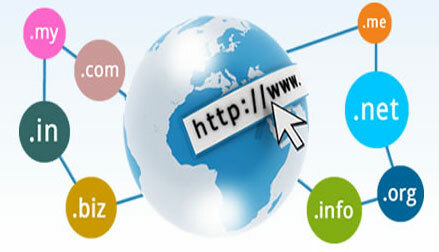 To put up and operate a website, you will need a domain name, and a proper-configured web server (hosting). (1) a domain name is like your house address; and, (2) a domain name can be registered only with a domain registrar. We like to use the "Car / Garage / DMV" analogy. Your domain is like the license plate for your car. With it, you can be identified and located on the world wide web. You can't get a license plate for your car until you register it, nor can you have a domain until you register it, either. A domain registrar is like the DMV of the internet. You use a registrar to register your domain for a period of time - 1, 2, 5 or more years. Once you have registered your domain, you need a place to park it - a "garage". A web host is where you do that. Shared web hosting service: one's website is placed on the same server as many other sites, ranging from a few sites to hundreds of websites. Typically, all domains may share a common pool of server resources, such as RAM and the CPU. The features available with this type of service can be quite basic and not flexible in terms of software and updates. 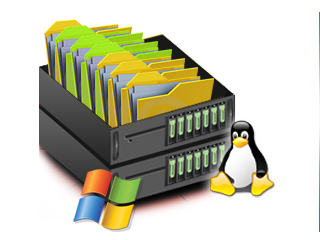 Resellers often sell shared web hosting and web companies often have reseller accounts to provide hosting for clients. Colocation web hosting service: similar to the dedicated web hosting service, but the user owns the colo server; the hosting company provides physical space that the server takes up and takes care of the server. This is the most powerful and expensive type of web hosting service. In most cases, the colocation provider may provide little to no support directly for their client's machine, providing only the electrical, Internet access, and storage facilities for the server. In most cases for colo, the client would have his own administrator visit the data center on site to do any hardware upgrades or changes. Formerly, many colocation providers would accept any system configuration for hosting, even ones housed in desktop-style minitower cases, but most hosts now require rack mount enclosures and standard system configurations. Cloud hosting: is a new type of hosting platform that allows customers powerful, scalable and reliable hosting based on clustered load-balanced servers and utility billing. A cloud hosted website may be more reliable than alternatives since other computers in the cloud can compensate when a single piece of hardware goes down. Also, local power disruptions or even natural disasters are less problematic for cloud hosted sites, as cloud hosting is decentralized. Cloud hosting also allows providers to charge users only for resources consumed by the user, rather than a flat fee for the amount the user expects they will use, or a fixed cost upfront hardware investment. Alternatively, the lack of centralization may give users less control on where their data is located which could be a problem for users with data security or privacy concerns. Home server: usually a single machine placed in a private residence can be used to host one or more web sites from a usually consumer-grade broadband connection. These can be purpose-built machines or more commonly old PCs. Some ISPs actively attempt to block home servers by disallowing incoming requests to TCP port 80 of the user's connection and by refusing to provide static IP addresses. A common way to attain a reliable DNS host name is by creating an account with a dynamic DNS service. A dynamic DNS service will automatically change the IP address that a URL points to when the IP address changes. ||ੴ||ਇੱਕ ਓਅੰਕਾਰ Satnam Shri Waheguru Ji A Web Blog about Product Review, Blogging Tips, Tech Reviews: What’s A Domain Name and Web Hosting ?